I'd say a resounding YES. This version of Batman is, at last, my version of Batman - with perhaps one fairly major caveat that he's particularly lax with his 'no kill, no guns' rule. 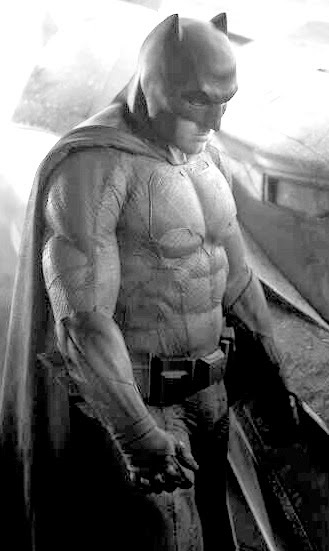 That aside Ben plays both Bruce Wayne and Batman with an intensity of purpose that not even Christain Bale quite reached (in my opinion). Jeremy Irons' Alfred is quite possibly my favorite version of the character with his dry wit cynicism and heavy engagement in supporting both Bruce/Batman whilst in the field. He's pretty much mission control for Batman. Together Bruce/Batman and Alfred make for a compelling team that you'll want to see more of in a solo movie. This Batman you get more of a sense that the detective side of the character is just as important as head kicking, action hero. Gal Godot's Diana Prince/Wonder Woman makes the most of her screen time. Whilst she doesn't get as much as Batman or Superman, her scenes are memorable and a strong, origin free, introduction to the character (thankfully because this movie already has a lot of story packed in). Gal is commanding in the role and will have you looking forward to the Wonder Woman solo movie that is already being filmed. Beyond that, Cavill's Clarke Kent/Superman is still just as solid as his performance in Man of Steel. We get to see Amy Adams continue to play a the globe trotting Lois Lane, chasing a story like an actual high profile journalist might. Jesse Eisenberg's Lex Luthor, based on the trailers, has been a concern for many, including myself. It's a very different take on the character but surprisingly I warmed to it as I got deeper and deeper into the film. It's probably not the Lex you were expecting but it is a more interesting take than previous movie versions of the character. I enjoyed Jesse's performance once you get past the way Lex was presented in the trailers. The performances are what make this film great and worth your time. As far as the plot goes there are definitely problems and, I think, this is the main reason for the negative reviews (though there's a lot of just general dislike of Zack Snyder as a director too). If you just let the story play out in front of you without analyzing it too closely, you'll get a few WTF moments where the film is trying to set up the currently filming Justice League movie. The rest will kind of come together coherently. You'll be entertained and you'll get to see Batman fight Superman (if that's what you wanted to see). There are a few plot twists you may not see coming because the trailers gave a very different impression of how some scenes would play out. 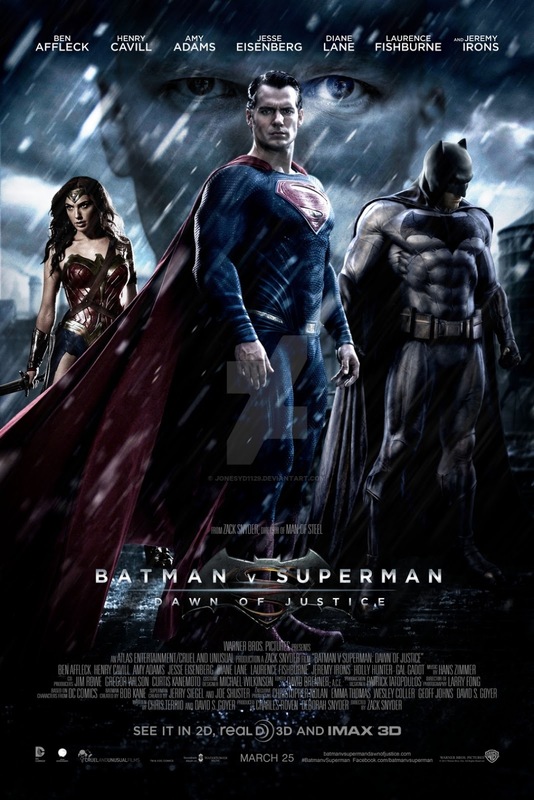 Like Man of Steel, this movie is very CGI heavy and obviously so. That's to be expected of a Zack Snyder film. Most of the time the visuals are strong but there does come a point where it seems like you're looking at nothing but wall to wall CGI for quite extended periods without much focus on any of the characters in the scenes. Sometimes I just wish Zack would hold back on the CGI and aim for shooting more with practical effects and particularly with the actors. Zack Snyder seems to be a divisive director. I'm not fussed either way other than his movies can be a little too CGI heavy. If you genuinely don't like Zack Snyder films then this isn't going to change your mind. For everyone else, I'd suggest seeing the film for the performances. Most reviews seem to agree that this is the strongest part of the film. As far as the story goes, there's plenty of interesting ideas and set up for the next film to wrap your mind around. Even if the story doesn't come together for you, you'll at least get to see some very cool moments. Personally I'm hoping the extended DVD cut that has been announced for release in July 2016 will fix some of the story issues of the theatrical cut. Rumor has it, the original cut of the movie was much closer to three hours long, so, hopefully what they put back will fill some of the plot holes. It's definitely not a perfect film but it's not a complete mess either. Like many comic book films it's best not to analyze every detail and just enjoy the ride.